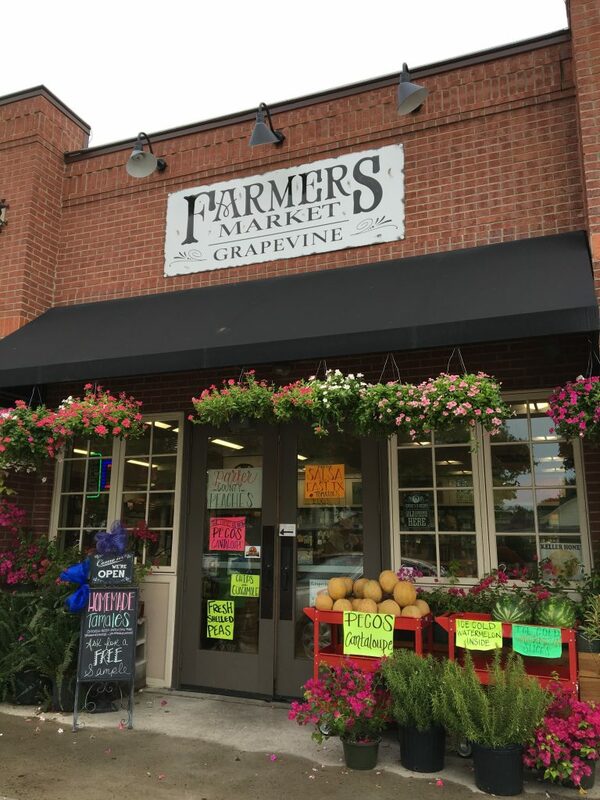 I was traveling again last week and discovered some incredible foodie finds in Grapevine, Texas! One of the reasons I love to travel is being able to try new restaurants and specialities from different destinations. 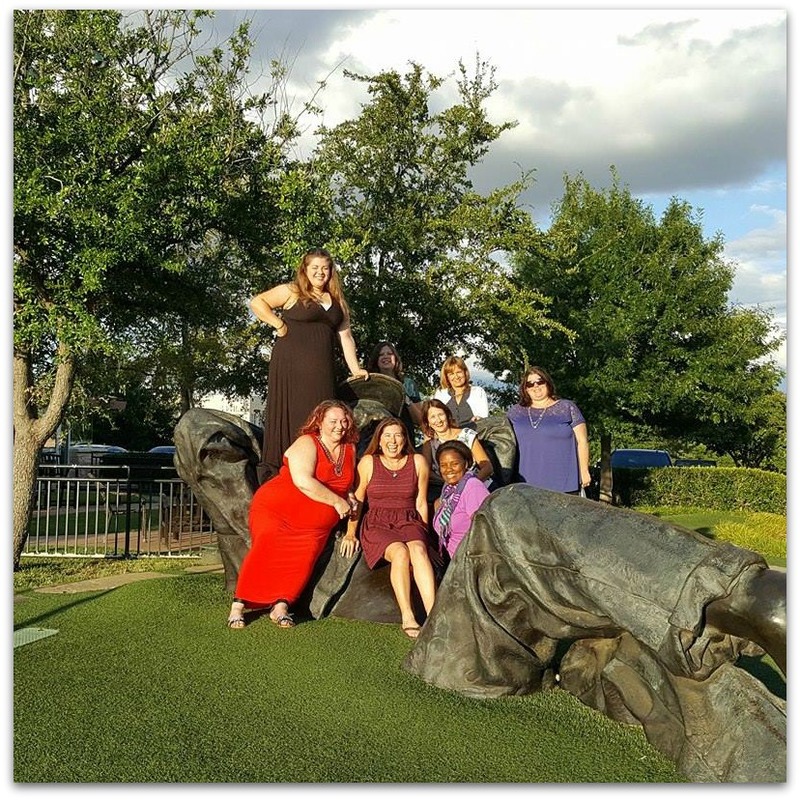 The Travel Media Showcase conference brought me to the beautiful city of Grapevine. This conference is a must if you are a travel writer, and as part of the conference, attendees could take a pre-tour and post-tour for a few days in several different cities in the area. When I saw the listing for a Girlfriends Getaway where we would be drinking wine and eating our way around Grapevine, I didn’t need to see more. Little did I know all this destination had to offer. Besides the fact that the people of Grapevine were so amazing, the food in this charming city of 50,000 is fantastic. And the wine? Well, they don’t call it Grapevine for nothin’! I was surprised and thrilled to taste several delicious wines made right there in Texas. I even shipped a few bottles home and can’t wait to taste them again! I do get distracted when it comes to wine, so back to the food! From the first evening in Grapevine when we were treated to Winewood Grill for dinner, I was in my happy place. If you’ve visited this site before, you know how much I love appetizers. Small plates are always a great choice because I can try a little of everything! Our waiter suggested we try the tenderloin bruschetta. 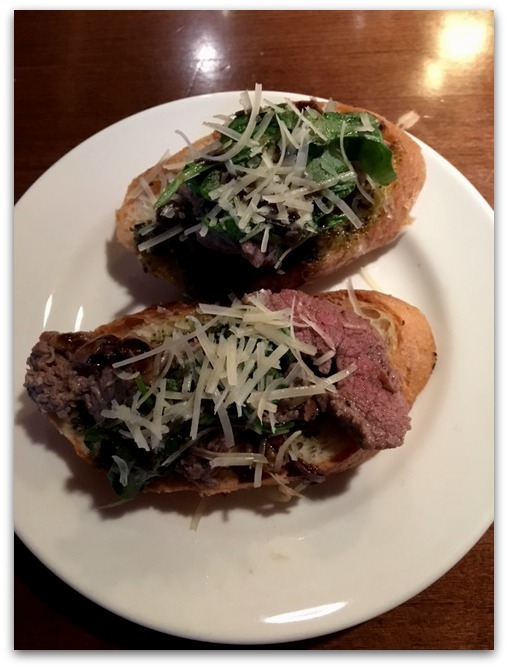 Think a toasted slice of baguette topped with tomato jam, basil pesto, and a couple of pieces of perfectly grilled tenderloin topped with arugula and freshly grated parmesan. I know, right? It was so delicious that when my neighbor at the table who was a vegetarian offered hers to me, I ate it, too. Yes, I did. No judging. This was my first foodie find in Grapevine. By the way, the calamari was equally as delicious, but I just couldn’t get a good shot of it. Sometimes the lighting in restaurants is so difficult for photos, but this dish is a must when you visit Winewood, and my second foodie find. 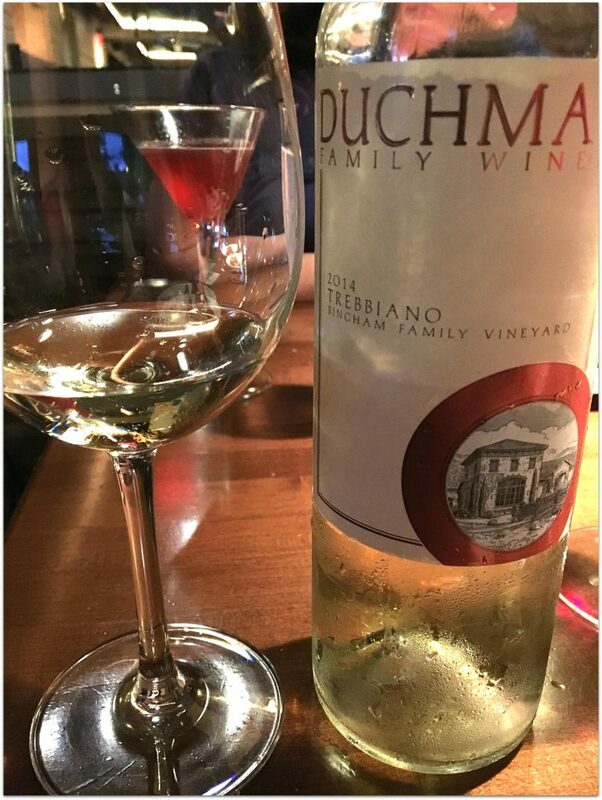 We paired our meal with a crisp Trebbiano from Duchman Family Winery in Driftwood Texas. Made from 100% Texas grapes, it was a perfect accompaniment to our meal. Prefer a martini? The hand-crafted martini menu at Winewood blew my mind! How about a Strawberry Basil Martini made with Plymouth Gin, muddled strawberries and basil, homemade simple syrup and aged balsamic reduction (what?!) and topped with Ginger Beer. Oh, my. I didn’t order one, (what was I thinking?!) and must try it when I head back to Grapevine for their Christmas celebration! 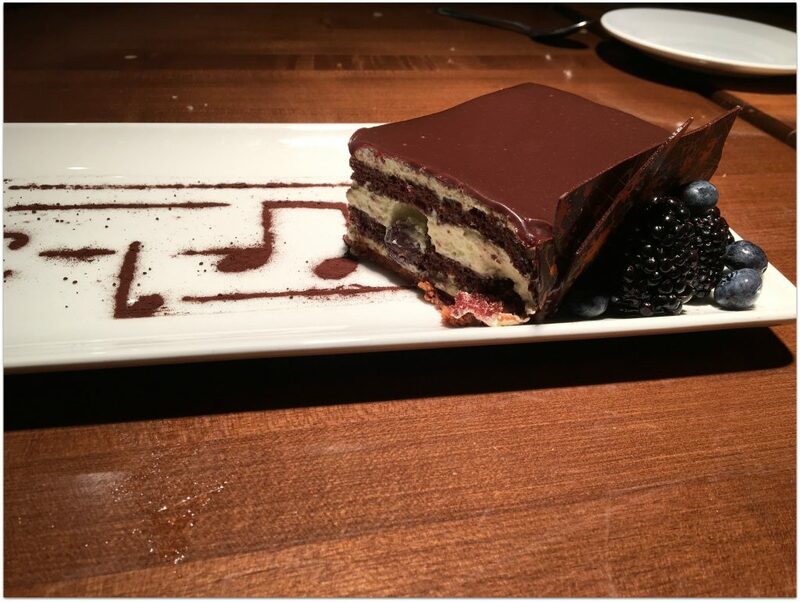 It’s been said that dinner at Winewood isn’t over until the Opera Cake sings. Regardless of what you order for dessert, I can pretty much promise you will love it. They have a huge selection of desserts, so what to do? Order one of everything! In our defense, there were about eleven of us at the table, so we shared about six desserts. 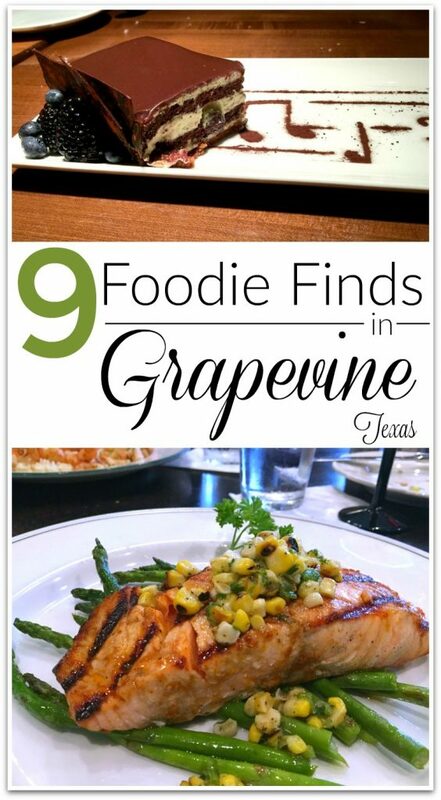 My favorite and number three on my Grapevine Foodie Finds list? The Opera Cake. I found it similar to Tiramisu, but even better. It was heavenly. It’s unusual for me to have three of my top foodie finds in one restaurant, and equally unusual for one of my finds to be at a Farmer’s Market! This is not your momma’s Farmer’s Market. With an indoor market open year-round and an outdoor market on Thursday through Saturday, there is a lot to see (and taste!) at the Farmer’s Market of Grapevine. I tasted orange watermelon for the first time, and it was so sweet and delicious that I had to add it to my list! The figs were also fantastic, but my foodie find here was that watermelon. Check out this short video of us tasting it while on the Girlfriend’s Getaway. We were also drinking wine towards the end of the day so you might see us being silly. I’ve got another first from Grapevine! Never have I listed butter in my top destination foodie finds, but I’m making an exception. 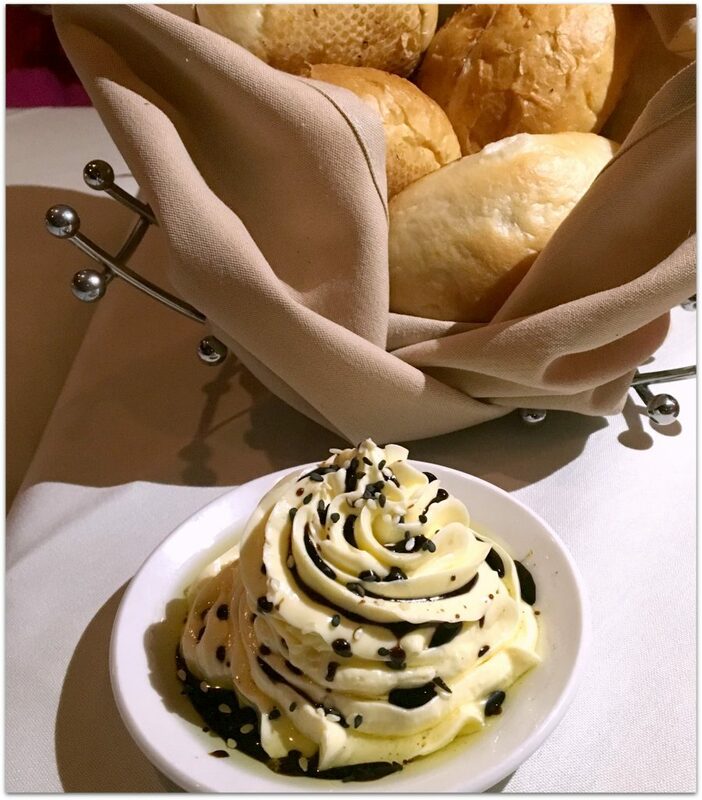 I had heard about the butter at Dino’s Steak and Clawhouse, but wow! It’s just something you have to experience. I believe it’s drizzled with a balsamic reduction, olive oil, and topped with what sesame seeds, but that’s a guess after tasting it. So creamy and delicious on the fresh rolls they set right in front of me. Did someone call ahead and tell them to do that? 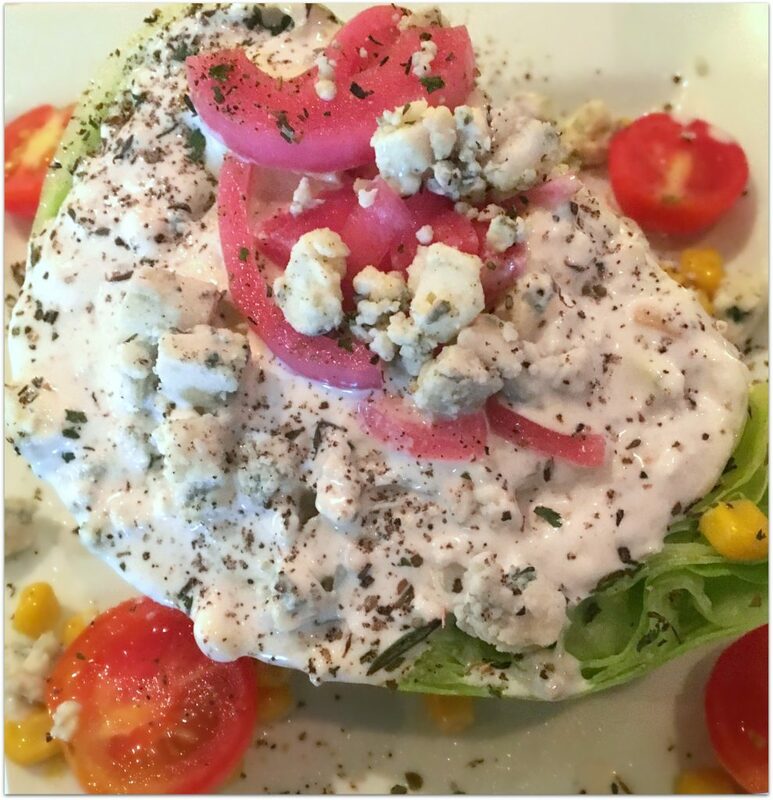 Another find from Dino’s was the wedge salad. I don’t know what it was about this salad. Maybe the pickled onions? This salad brings us to number six. Love seafood? 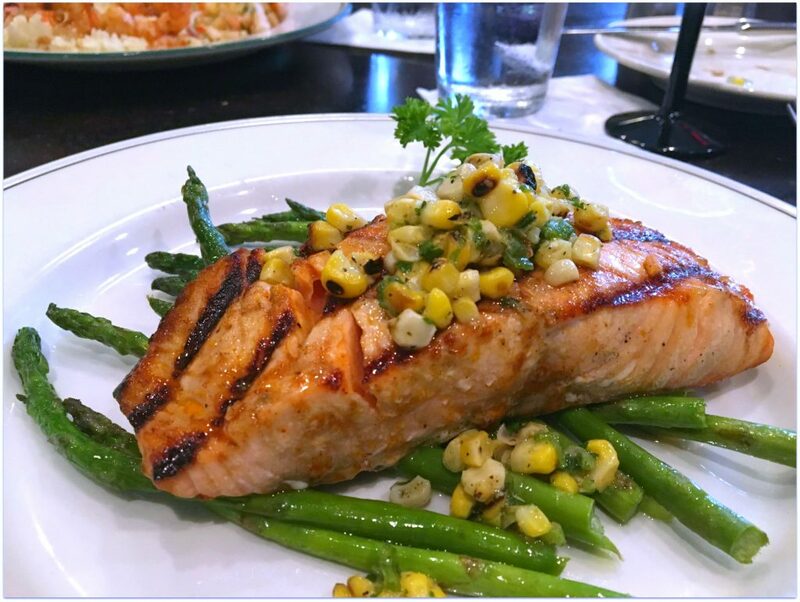 You’ll find a lot of it on the menu when you visit restaurants in Grapevine! These scallops from Mac’s on Main were absolute perfection. 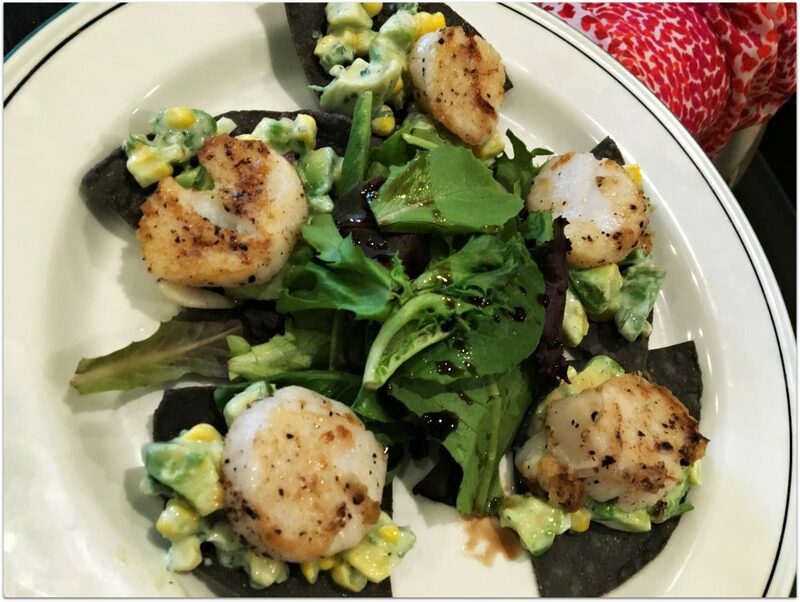 Each tender scallop is served with a spoonful of avocado-corn relish on top of a blue corn tortilla chip. This was an appetizer, and I seriously thought about ordering another for my meal. So good! You really can’t go wrong with anything at Mac’s on Main. Every entree looked incredible. I did not taste this salmon but asked one of my girlfriends if I could grab a photo because she loved it so much. It’s another one on my list for things I want to try in December when I go back to Grapevine! You can only hope to find a bakery like Main Street Bakery & Bistro when visiting a new destination. 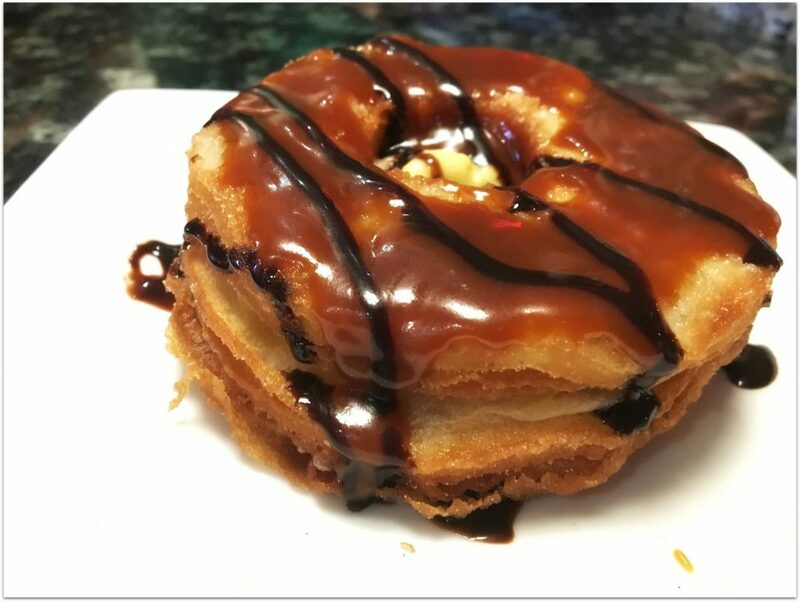 Not only do they have the Croi-Doughnut Brûlé, but they have a huge menu for breakfast that includes Mimosas and a Bloody Mary Bar (just sayin’) and a fantastic lunch menu with dishes like Braised Short Ribs as well as Chicken and Waffles. This brings us to number nine on my Grapevine foodie finds list. 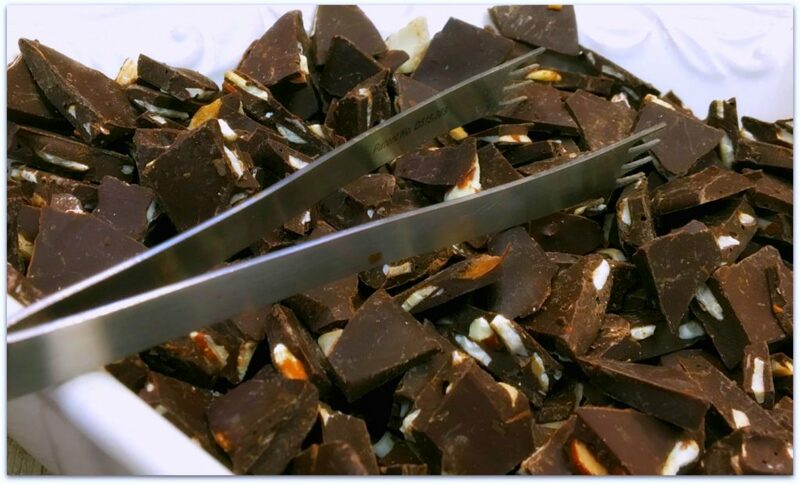 If you love chocolate, don’t miss Dr. Sue’s Chocolate when visiting Grapevine. Dr. Sue is actually a family physician who is on a mission to educate people about the benefits of dark chocolate. This is without a doubt the best chocolate I’ve ever eaten, and my whole family agrees! I will be bringing an extra bag for Christmas gifts when I visit Grapevine in December, and I know at least half of it will be filled with Dr. Sue’s Chocolate. Who knew there was so much deliciousness in Grapevine? I’ll be sharing more in December when I go back. What’s your favorite foodie destination? Share in the comments so I can check it out.